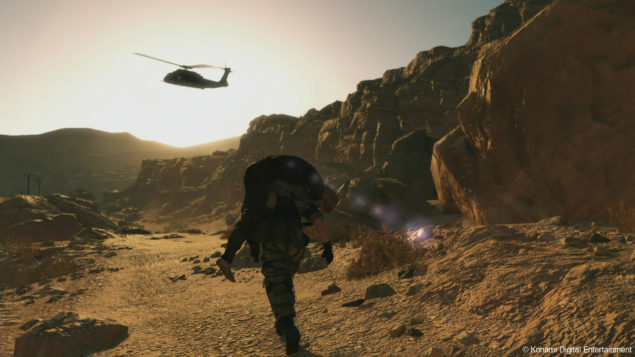 Phantom Pain Could See The Return of "The Boss". Phantom Pain Could See The Return of “The Boss”, Voice Actress Confirms. 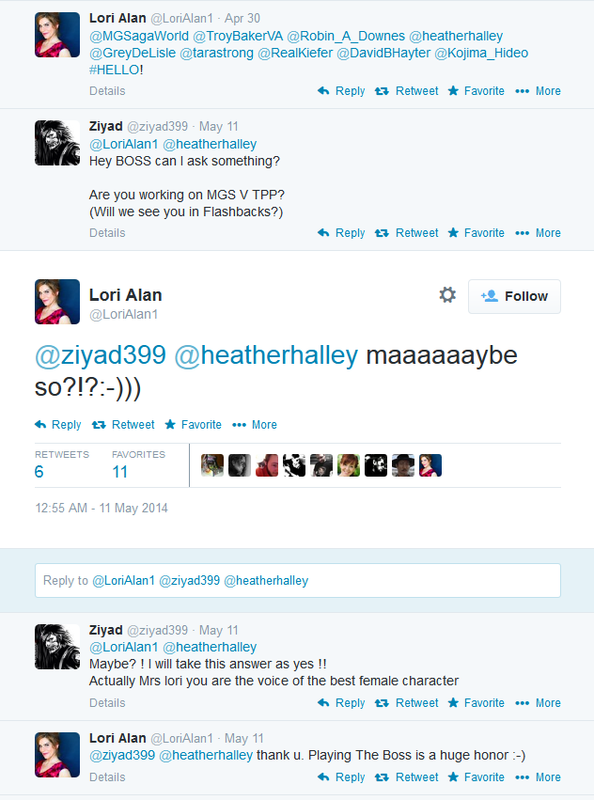 It appears that Lori Alan, the woman who is better known for lending her voice towards The Boss in Metal Gear Solid 3 and Peace Walker as Naked Snakes Mentor, The Boss, appears to be reprising her role as the faux defector once more, after making a surprising appearance in Peace Walker that had us all shocked could this be another surprise or are we going to be seeing her in flash backs? Another Voice Talent Added to Phantom Pain. Can This Possibly Get Any Better? Lori Alan may not have the fame of David Hayter nor Keifer Sutherland but she did an absolutely magnificent job in Metal Gear Solid 3 in making The Boss THE most amazing female character of gaming at the time. She goes a little overboard when she tags an assortment of people on twitter to greet them a hearty #HELLO. I would like to deviate from the subject and point out that she has also tagged David Hayter, Keifer Sutherland (Naked Snake), Troy Baker (Ocelot), Tara Strong (Paz) & Robert Atkin Downes (Kaz). Have you noticed a pattern yet? David Hayter was NOT given the role of the protagonist and has been taught to have been left out of the game. Could we see David be a part of Phantom Pain? and if so then who will HE be? Back to the topic. It is some good news to hear that The Boss will be lending her talents to the Phantom Pain, albeit her surprise appearance in Peace Walker was a bit lackluster I am hoping that this time she plays a more active role than a passive one and gives us the invigoration to carry on and motivate our endeavors the way she did for us in Metal Gear Solid 3. Although it is very safe to assume that hunting for these tweets will prove to be a fruitless effort since she has probably broken a good number of NDA’s with Konami, I still took found the tweets and embeded them, but don’t expect this to be up for too long. In the event that the tweets do disappear, here is a screenshot of the above originally founded by Sn4ke_911 over at NeoGaf. This news is open for interpretation, I am really glad to see one of my favorite characters reprise her role as an amazing personality in what is going to be one of the greatest games in the series without a single shadow of a doubt considering the impact and brilliant pace that Ground Zeroes has set for Phantom Pain. What do you believe is in store for us with The Boss? and what role do you believe David Hayter will be given? a few weeks ago IMDB suggested that Hayter would take on the role of David in Phantom Pain, and David is the real name of Solid Snake. SInce then though the listing has been changed, but if Lori has tagged him then it must mean something right?